A team of employees of the Rarawai sugar mill scooped second place overall and the Silver Award at this year’s National Quality Convention, at the Fiji National University in Namaka. Chief executive officer for Fiji Sugar Corporation Graham Clark with the Rarawai Mill’s Team Elite. Photo: Fiji Sugar Corporation. Quality Control Circle (QCC) was introduced into the Fiji Sugar Corporation in 2005 at Ba’s Rarawai Mill and then Labasa Mill in 2006. At its launch, QCC was only introduced to apprentices as they were an easier group to target and groom for QCC adoption. In 2014 FSC revived its internal QCC initiative, again with the Rarawai Mill’s ‘Team Elite’ which was made up of a cross-section of employees. They identified poor harvesting efforts as a key issue for the mill and targeted this area in their QCC project. Team Elite’s QCC journey started in 2014, and faced insurmountable challenges in 2016 due to the devastation of Tropical Cyclone Winston. This hindered their efforts as they had to divert their focus on the collective rehabilitation of the mill and cane development. FSC’s chief executive officer Graham Clark in thanking the team at their celebrations in Ba recently, said he was delighted with how the team held on and kept pushing themselves to achieve high quality standards and thanked them for their cohesion, collaboration and team work. 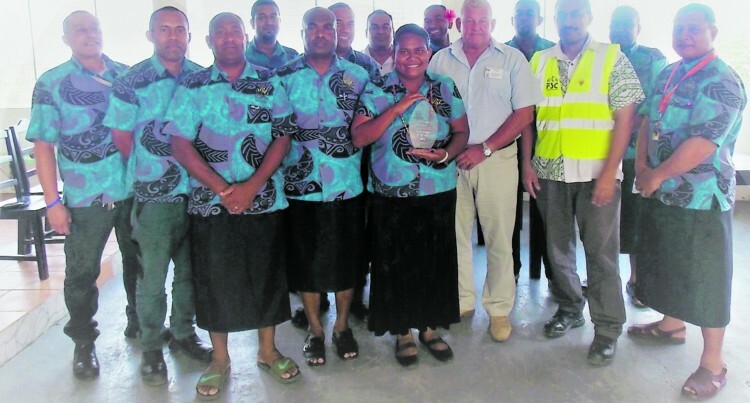 General manager Rarawai Mill Taito Kafoa echoed similar sentiments saying “Team Elite had set a benchmark for the mill and all their employees, for their hard work and collaborating very well throughout their Quality Circle process”. The team’s QCC project was on Reducing Factory Downtime due to Poor Harvesting Effort. Sesenieli Vualeba, a Headway Bridge Clerk.